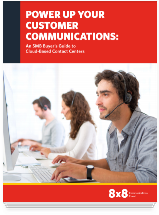 Empower Your Customer Service Organization | 8x8, Inc.
Get the facts with the SMB Buyers’ guide for contact centers. Small and medium businesses need powerful communications tools that build customer relationships while making sales and customer service teams more efficient, but don’t need the cost, complexity and administrative overhead of traditional contact center solutions. Welcome to the cloud! What is a cloud-based contact center and how does it work? What are the advantages of cloud-based solutions? 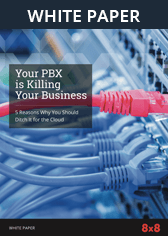 What are 5 ways a cloud-based contact center can help your business? What are 8 features to look for when evaluating cloud-based contact centers? 8x8 ContactNow can make your business more powerful today. Read the buyers’ guide to learn how.